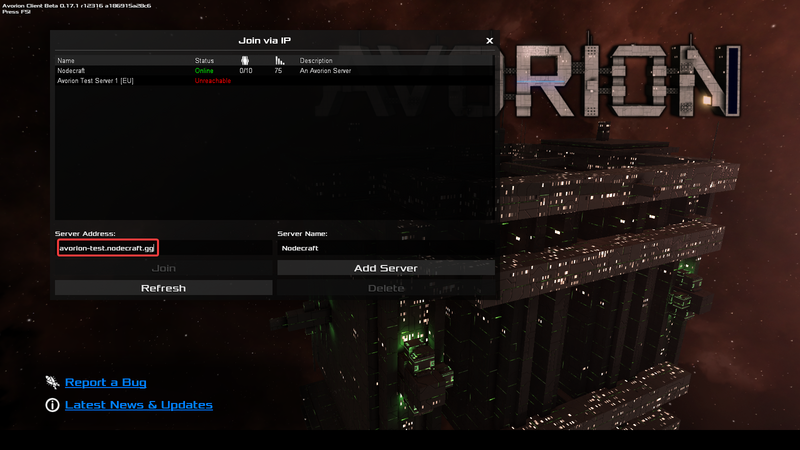 To connect to your server manually, you'll need to use the in-game menus from within Avorion. 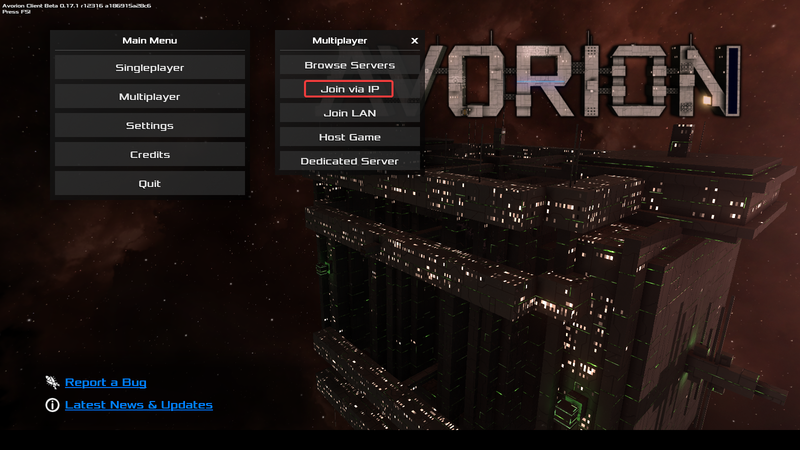 Launch the game and hit Multiplayer -> Join via IP as per the screenshot below. Type in your server's IP address as per the screenshot below, and hit Join. You can also hit Add Server to add the server to your list for future ease of use. If you need any help accessing your server, don't hesitate to contact our support team!